Following accusations of delivering a calculated diplomatic snub to United States President Barack Obama by not providing a staircase while he disembarked from his plane upon his arrival at the G20 Summit, by Chinese authorities, a Chinese newspaper suggested that the incident was a "trifling" one. The newspaper went on to add that it has been sensationalised by the Western Media. President Obama arrived at the Hangzhou international airport on Saturday afternoon for his final face-to-face meetings with Chinese President Xi Jinping. "Western media has hyped up the incident, but Obama tried to play it down," the Guardian quoted the Global Times as saying. "This makes us believe that the tense atmosphere between China and the US can be partly attributed to the Western media, which often makes a fuss over trifling issues," it added. Officials from both countries are said to have exchanged angry words with one local official castigating a White House staffer. Stating that the episode would not eclipse US-China cooperation, it said, "Obama probably would not like to see undercurrents in Sino-US ties before he leaves office." 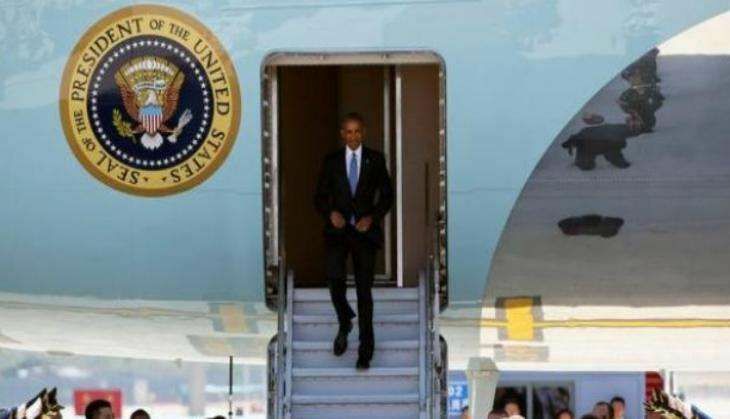 The Chinese government is said to have denied the diplomatic snub to Obama, who did not disembark from his aircraft on to a red-carpet-lined staircase, like other world leaders arriving for the G20. Shen Dingli, an international relations expert from the prestigious Fudan University in Shanghai, told Singapore's Straits Times that the US should know well what they have done to upset China. The reason could be Washington's criticism of Beijing's activities in the South China Sea. Meanwhile, the Defence Intelligence Agency (DIA), a Pentagon spy agency, also commented on the incident. "Classy as always China," DIA tweeted, linking to a New York Times article about the incident. The message was, however, later deleted. A subsequent post by the account read, "Earlier today, a tweet regarding a news article was mistakenly posted from this account & does not represent the views of the DIA. We apologise."